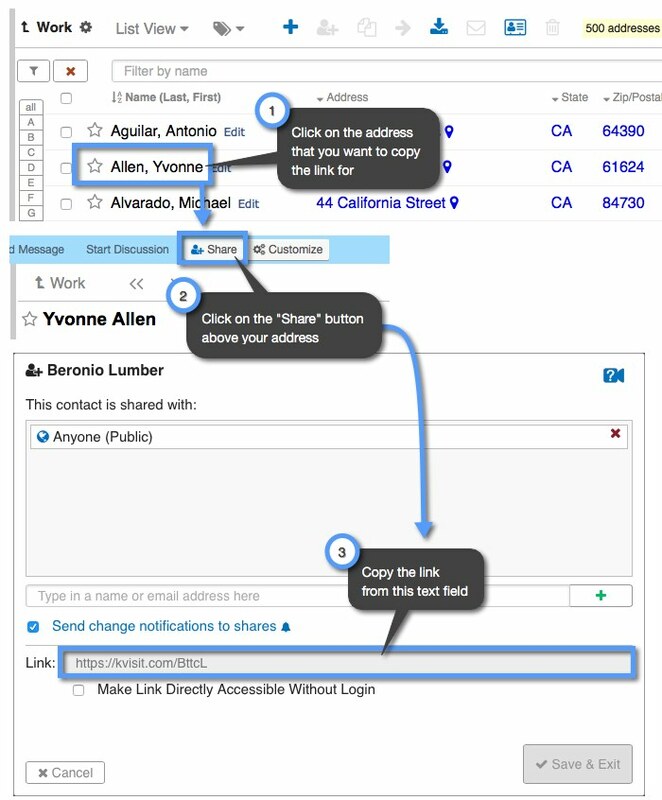 Every address in your Keep&Share address book has its own unique link. Once copied, you can paste the links to your addresses anywhere you’d like. We do not recommend sharing your addresses “Publicly” or embedding it on a public page unless it contains only public information. If it contains private information, set the sharing to share with private Keep&Share accounts and the addresses link will automatically lead to a Keep&Share log in screen. All of the examples that list addresses use data that is not real. When you are copying your link for your address, you will notice that you have two link options: the “Address URL” and the “Short URL.” In the example below, we list what the Address URL will look like versus the Short URL.